America's aluminum extrusion industry is holding its own. IndustryNet determined that the industry's sales remained flat over the past year. This may be due to pricing competition from overseas manufacturers. Lower prices are coming from the countries of Vietnam, Indonesia and Malaysia. These conditions have placed pressure on the U.S. industry's bottom line. Manufacturers must absorb these countries' lower pricing by reducing its operating margin. The American aluminum extrusion industry's market share continues to grow. For example, 2016 was the seventh year in a row that extrusion shipments have grown. This represents a 35% increase in shipments since 2009. China had been the American aluminum industry's greatest challenger. It had a market share of 19% in 2009. Tough trade enforcement practices have reduced China share to 0.4% of the market in 2016. Opportunities for American aluminum extrusion companies remain. The demand for their product exceeds their production capabilities. This is the latest analysis of America's aluminum extrusion industry from India's Vedanta Resources Group. China continues to have an excess aluminum capacity. Industry trade groups should continue to track what they do with this capacity and how it might impact them. America's aluminum extrusion industry continues to design new and innovative uses of its product. Extruded aluminum offers material that provides a wide range of benefits from its strength and flexibility to its resistance to many of nature's and man's challenges. The fact that extruded aluminum can be recycled makes it a sustainable product. 3. Crystal Finishing Systems, Inc.
4. Hydro Extrusion Portland, Inc.
3. Gordon Aluminum Industries, Inc.
4. Gateway Extrusions Aluminum, Ltd. The top five largest aluminum extrusion companies cover a wide geographical category of the U.S. The largest company is in Pennsylvania with a sister company in Oregon. Add to these companies Texas with two up North in Wisconsin and Michigan and you have the lower 48 states covered. Hydro Extrusion USA, LLC has the distinction of being the largest aluminum extruder in the U.S. and its plant in Cressona, Pennsylvania is the largest of its kind in the world! The company offers aluminum solutions across a wide variety of industries. Its innovation includes improving sustainable designs for customers like the powerful IKEA stores. Texas-based Western Extrusions Corp has a facility that can extrude up to 60 feet in length and 14 inches in diameter. The company was founded in 1979 with a 49,000-square-foot facility that has been expanded to over 700,000 square feet. Crystal Finishing Systems, Inc. was initially founded just 25 years ago as a coating applicator. It is now the third-largest aluminum extruder in the U.S. Crystal puts its capability to provide various coatings and finishes while offering various extrusions capabilities a key part of its service. Hydro Extrusion Portland, Inc. is the fourth largest aluminum extruded in the U.S. Formerly known as SAPA, it was absorbed into the Hydro Extrusion family. 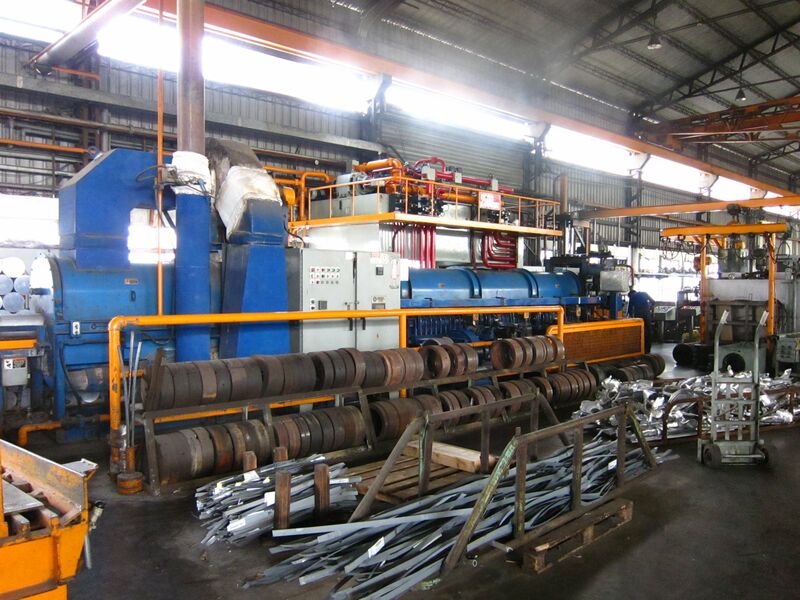 They provide extrusion, machining, fabrication, and finishing services. Hydro Portland also offers in-house painting and anodizing services. Whitehall Industries, Inc. rounds out the top five spot of the U.S.'s largest aluminum extruders. It points out that it is an industry leader in the manufacturing of automotive sunroof tracks. Their efforts don't stop there. They have a full-service aluminum engineer, design and manufacturing service. The five fastest-growing aluminum extrusion companies could represent the college Big 10 Conference as they are centered around the Midwest. The largest and fastest-growing company is still less than half the size of the fifth largest company. 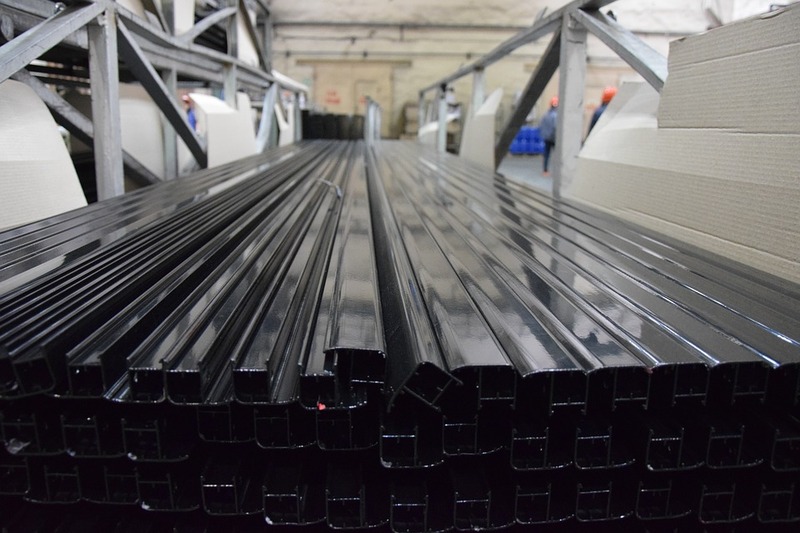 International Extrusions of Garden City, Michigan is the largest of the top five fastest-growing aluminum extrusion companies. The company remains a family operation from its late founder to its Current Chair of the Board of Directors and President. The company has been in operation for over 75 years. Extrudex Aluminum, Inc. focuses on three primary markets. They Architectural/Industrial, Consumer Electronics and Residential Products. The company continues to expand in its locations and facilities from its founding in 1980. The firm has grown by purchasing facilities. Gordon Aluminum Industries, Inc. is another company proud of its history and that it has been family-owned since its founding in 1958. The company has even remained viable and grew despite a fire started by lightning destroying 40,000 square feet of its main hub manufacturing facility along with its main office and a substantial portion of inventory in 2008. Gateway Extrusions Aluminum, Ltd. is proud to be the leading aluminum extruder in the St. Louis, Missouri area. They promote their large catalog of dies and the lower cost they offer because of them. Altec Aluminum Technologies of Jeffersonville, Indiana is proud of the broad product span they offer. They are an ISO 9001-Certified facility. Altec also has factories in Texas and California as well as their IN facility. Click here to see a full listing of hundreds of aluminum extrusion companies in the U.S. Or, to connect with 400,000 U.S. manufacturers and suppliers of more than 20,000 products and services, start your free search on IndustryNet. Related Companies: Altec Aluminum Technologies, Crystal Finishing Systems, Inc., Extrudex Aluminum, Inc., Gateway Extrusions, Ltd., Gordon Aluminum Industries, Inc., Hydro Extrusion Portland, Inc., Hydro Extrusion USA, LLC, International Extrusions, Western Extrusions Corp., Whitehall Industries, Inc.